Columbia Artists welcomes Grammy-winning composer and conductor Eric Whitacre for exclusive worldwide management of symphonic engagements. One of the most popular musicians today, Eric Whitacre’s concert music has been performed throughout the world by millions of amateur and professional musicians alike. Currently Artist-in-Residence with the Los Angeles Master Chorale, a Juilliard alumnus and former Composer in Residence at Cambridge University (Sidney Sussex, UK) he has released several chart-topping albums including Decca’s bestselling "Light and Gold," and “Water Night,” featuring the London Symphony Orchestra. 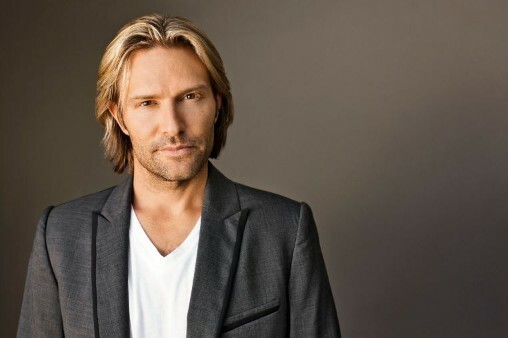 Eric Whitacre has conducted the Royal Philharmonic, the Philharmonia Orchestra, Hamburg Symphony, and Minnesota Orchestra, performing to sold-out audiences at festivals and venues including the BBC Proms (Royal Albert Hall), Berlin Philharmonie, Sydney Opera House, and Meyerson Symphony Center in Dallas. Whitacre's engaging choral and orchestral programs combine his own compositions with works by 20th century masters such as Adams, Pärt, Kilar, Penderecki, Barber, and Vaughan Williams. This summer, he returns to Amsterdam’s Concertgebouw with an All-American program that includes works by Aaron Copland and Leonard Bernstein’s Chichester Psalms. A seasoned public speaker, well-known for his use of technology, he is also involved in research programs involving health and well-being. Eric Whitacre is currently collaborating with the National Aeronautics and Space Administration (NASA) and the Space Telescope Science Institute (STScI) around his piece “Deep Field” - a creative and educational (STEAM) project as part of NASA’s 60th anniversary celebrations in 2018. Columbia Artists is pleased to be working closely with Music Productions (London).